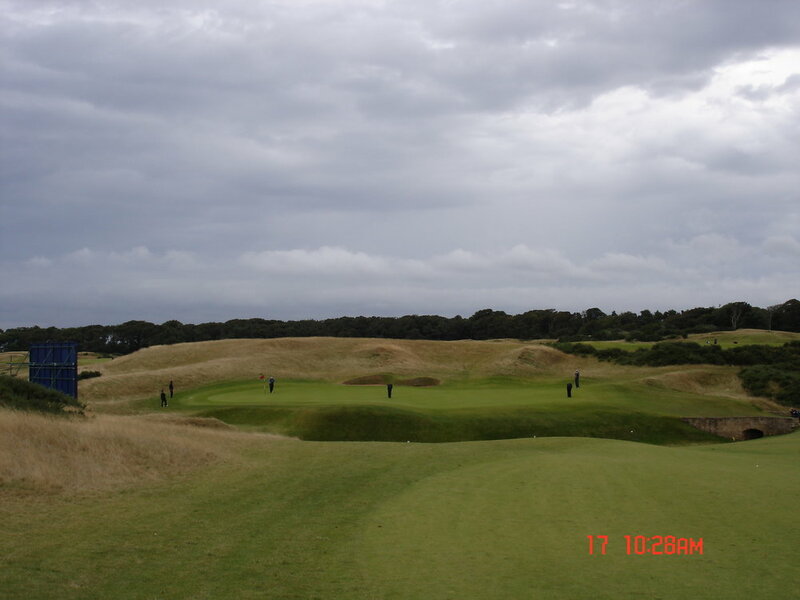 I played at Kingsbarns not long after it was opened, in 2005 with a colleague, Paul E. Fabulous course in that wonderful area of golf courses in Fife. Its a must visit if you are playing St Andrews. This is a bit of blurb on the history of the Club: In the eighth decade of the 18th Century, at the same time as the Thirteen States were declaring their independence and the Constitution of the United States was scripted, the Merchants and Lairds of Kingsbarns drafted articles to form the Kingsbarns Golfing Society. Golf has been enjoyed over the links land of Kingsbarns beginning in 1793. Attired in their blue coats, the Kingsbarns men met for their Spring and Autumn Meetings to challenge for the Societies medals on the links and to enjoy the conviviality of friends over dinner in the Golfers Hall. The Society continued to wager, wine and dine for decades until the Cambo Estate tenant farmer ploughed up the Links in 1850 in order to add to his farmable area. Farm land in that period was more valuable than land set aside for golf. Prompted and inspired by Lady Erskine of Cambo, the old Kingsbarns Golfing Society was re-established and founded as Kingsbarns Golf Club in 1922 and Willie Auchterlonie laid out a nine-hole course on the links about Kingsbarns Bay. This course served the golfing needs of the locals and holiday makers until the onset of the Second World War when the Links was mined in the national security defence effort and it quickly reverted to rough pasture. Golf was resurrected on Kingsbarns Links at the dawning of the 21st Century. The only Scottish course to be built on links land in over 70 years and with its seaside setting, Kingsbarns joined the great old courses of nearby St Andrews and Carnoustie, bringing with it a new dimension to the traditional Scottish game.